South Africa is the first country in the world to receive the brand new DMG Lumière MINI MIX and SL1 MIX fixtures, which arrived at the Movievision warehouse this October. MIX is a revolutionary new LED which blends together six LEDs: Red, Lime, Green, Blue, Amber and White. This enables it to generate a wider range of colours than RGBW or RGBA fixtures. In addition, the Red and Lime emitters in the array are manufactured exclusively for MIX – meaning that it can create colours, tones, and hues that are only available from a MIX light. Every Rosco gel colour in the MIX library has been authenticated by Rosco’s colour experts as a match on tungsten and daylight sources – by eye, meter, and camera. The MIX control software also allows you to set the base colour temperature of the light before adding colour. This provides more accurate gel matches to other fixtures on set. With the MIX fixtures the user interface has no menus. Simply choose between three different modes and then choose the colour temperature, colour or Rosco gel colour you desire. Gel Mode: Not only are you able to select from a vast library of Rosco gel colours, you’re also able to modify the hue, saturation, and green/magenta shift of the gel colour as needed. Colour Mode: Navigate through the MIX colour space using the 360° hue wheel to choose a colour and then set the intensity of the light output. MIX also offers the ability to desaturate colours toward several different colour temperatures of white light to create different tones of the base hue. The most innovative aspect of the fixtures is the integration with the free myMIX app. 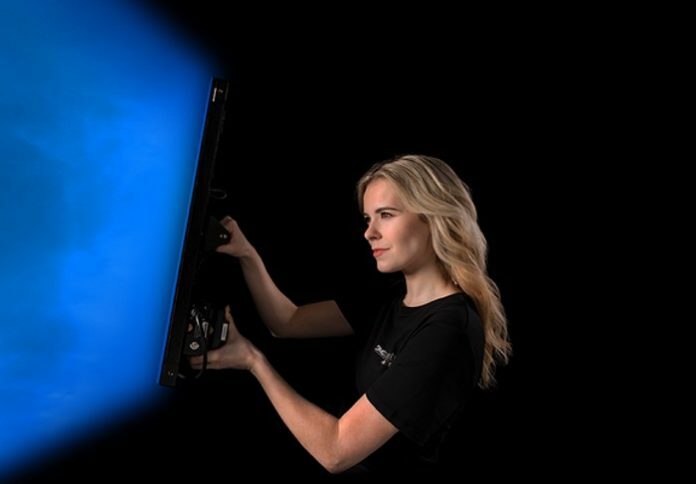 This app enables filmmakers to evolve their lighting workflow on set. It offers complete colour control in the palm of your hand. Using a mobile device, you can easily mix together or capture the colour the scene requires, save that customised colour to your personalized library in the cloud, and then share those colours with anyone on the team. myMIX is available for both iOS & Android devices.